When was the last time your company ran an advertisement or brand awareness campaign on social media? More to the point, when was the last time your company didn’t run one? Did you know that companies engaging in social media get a 119% better ROI than those who don’t? Did you know that 116 minutes are spent on social media each day by the average user? Did you know that 90% of companies use social media for brand awareness? 91% of retail brands use two or more social media channels? Did you know there are 4.2 billion social media users worldwide? To put that number in context, as of January, 2019, worldwide population is 7.7 billion. Did you know Facebook alone has over 2.2 billion users? There is no argument that social media is king in 2019. Trying to harness it sometimes feels like drinking out of a fire hose. Are you using social media in your public awareness program? If not, at Enertech we can help. 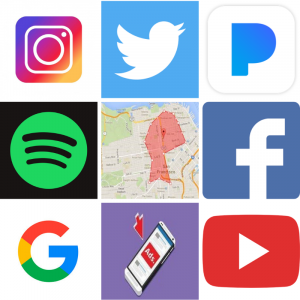 We offer a unique social media program through social media platforms such as Facebook, Spotify, YouTube, Instagram and more while generating the required regulatory compliance documentation. Sound remarkable? At Enertech, our number one priority is getting you the cutting-edge tools you both want and need to help keep in compliance. Marrying social media with compliance is just the latest of our many ad hoc programs, all designed to make the day to day routine more routine – so you can get on with the business of growing your business. Contact us to schedule a demo and find out just how easy it is to accomplish your marketing needs while you log your compliance. Because in a world where social media is the heavy weight – you can’t afford to be the light weight.